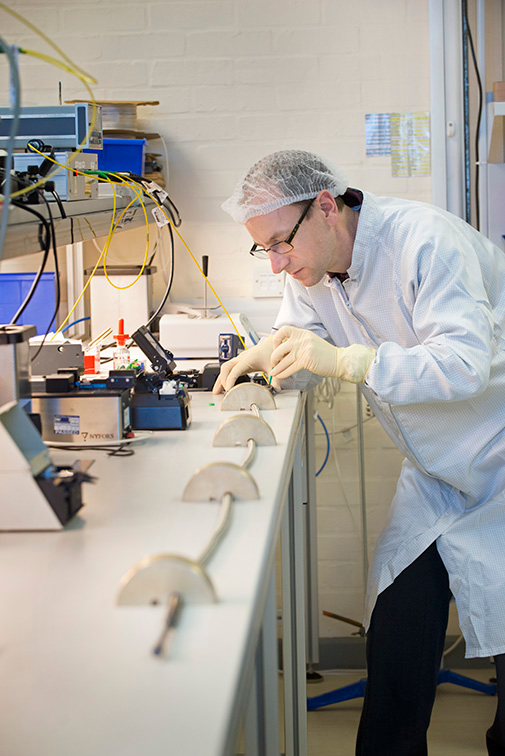 Oxsensis is pioneering a “new breed” of highly accurate, highly stable optical sensors. Using light to measure heat, temperature and pressure, based upon proprietary intellectual property rights, Oxsensis’ dynamic sensors can be used in extreme environments — like those created by jet engines and power stations — where traditional sensors run out of steam. Better sensors allow power savings, reduced emissions and improved asset risk management. Across a number of markets, Oxsensis is partnering with international blue-chip companies with multiple divisional and applications needs. Aerospace: Oxsensis’ non-electrical sensor systems allow airframe and engine manufacturers to monitor pressure, temperature, acceleration, optical position and speed within airframe systems, engines, landing gear, and wheels and brakes. which reduces the burden of safety and increases performance. Power Generation: Oxsensis sensors improve performance, reduce emissions, and manage lifetime risks of land-based gas turbines. Oil & Gas: Installation of Oxsensis’ improved fibre optic monitoring systems ensure safety and increase productivity and durability in oil rigs and pumps. Marine: Oxsensis’ optical sensors are ideal for pressure and temperature monitoring in hot, hostile environments such as those created by gas turbine or internal combustions engines for marine vessel propulsion. Space: Ion-thruster satellite propulsion systems generate an extreme electromagnetic and thermal environment for a temperature sensor.Oxsensis’ optical sensors provide an alternative approach for gathering data in these type of environments where the use of electrical sensors is precluded. Nuclear: Oxsensis delivers long-term pressure and temperature measurement in storage tanks for monitoring and early warning of fault conditions and applications in nuclear decommissioning. Optical sensing technology has the potential to bring significant innovations to a number of industries, particularly aerospace. Optical sensors, which use light to measure heat, temperature and pressure, are replacing standard aircraft electrical sensors pressure which are prone to electromagnetic interference, and temperature limits of the sensing materials. Oxsensis optical instrument ation provides brake temperature, wheel speed and position, even in extreme conditions. When it comes to hostile environments, there is none much harsher than conditions on aircraft landing gear. Temperatures vary from -55°C to 85°C, dirt and debris are thrown up by tyres and the shock and vibration of a landing is punishing on instrumentation. Aero and land based gas turbines present operating conditions up to 60 bar and 1100°C in their combustion systems – with Oxsensis deploying robust systems in previously inaccessible instrumentation locations. 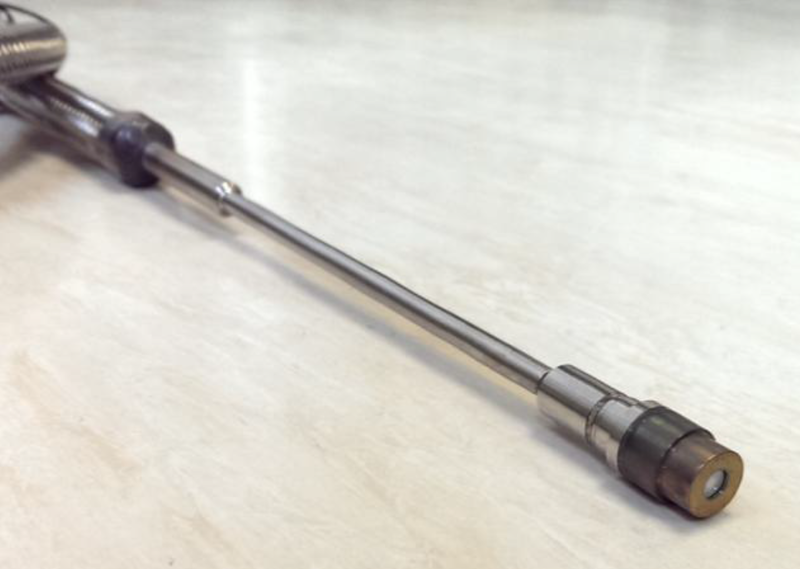 Every major gas turbine OEM has used Oxsensis sensors. Oxsensis has agreed partnerships with aviation companies, including GE Aviation, Parker Aviation, Rolls-Royce, and Airbus. Today Oxsensis works with blue-chip partner in global markets of national significance — aerospace, power generation and oil and gas. But back in 2003, the spin-in to STFC’s (Science and Technology Facilities Council) Rutherford Appleton Laboratory in Oxfordshire was a “blue sky” idea, albeit from a very capable team with a great science pedigree. The Rainbow Seed Fund provided seed capital to get the team and research infrastructure established and brought an angel syndicate together. The Fund played a lead role in getting the Series A off the ground and linked the Oxsensis team to additional investors. Rainbow continues to be represented on the board of the company through its appointed non executive director who provides considerable help with Oxsensis’ IP strategy and support in thinking about new markets. Rainbow’s Investment Director Dr Andy Muir comments, “Oxsensis’ core markets- aerospace and power generation- require very patient capital. Reliability is critical in Oxsensis’ industries and product cycle times are long. But the breadth of Oxsensis’ engagement with the aerospace and power generation industry now is testament to the value of a long-term investing approach”. Oxsensis has built a strong supply-chain enabling it to innovate more quickly and scale-up for production. The company will soon move to new, purpose-built premises, including a new manufacturing capability.